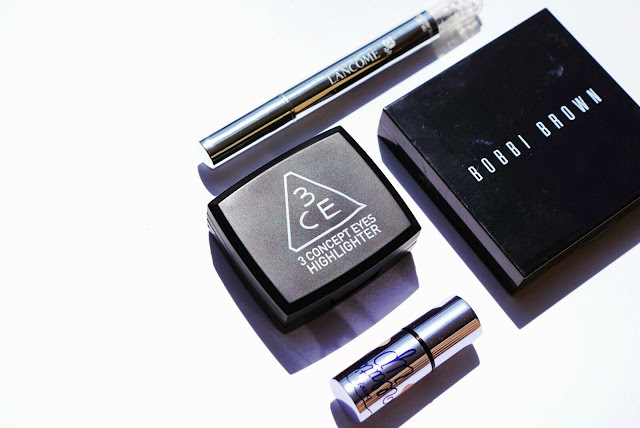 Highlight can do so much to enhance your facial feature and bring out the most admirable glow. Bobbi Brown Shimmer Brick: This highlighting shimmer brick is main on highlighting the eyes. It has beautiful shades of colours and I lean on using it for under the brows and the corner of my eyes to really give it a pop and define. Benefit Watt's Up: This highlighter is different from the others because it has a creamy texture allowing it to stay on all day. It has a beautiful champagne glow with a very natural finish. I like to use this highlighter on days when I don't wear makeup but would like a better finish on my skin. 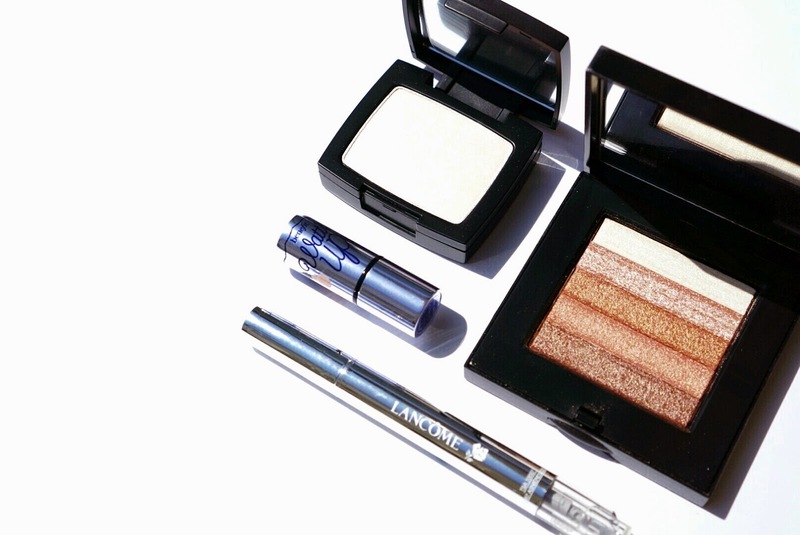 3 Concept Eyes Highlighter: This is a very nice highlighter as the particles are very fine and pearl-like. I love the packaging for this highlighter and how it comes with a nice broad brush. And with the broad brush, I like to use this highlighter on my cheekbones to give me a flush of natural glow. Lancome Teint Miracle Concealer: Although this is a concealer, it has illuminating particles to give a glow and moisturizing finish. I used this as a concealer at first but it didn't have much coverage. Then I used it as a highlighter for my t-zone because I like how it's somewhat not noticeable but under the light you'll have this natural non-oily glow.